This graphic shows the position of the Voyager 1 and Voyager 2 probes, relative to the heliosphere, a protective bubble created by the Sun that extends well past the orbit of Pluto. 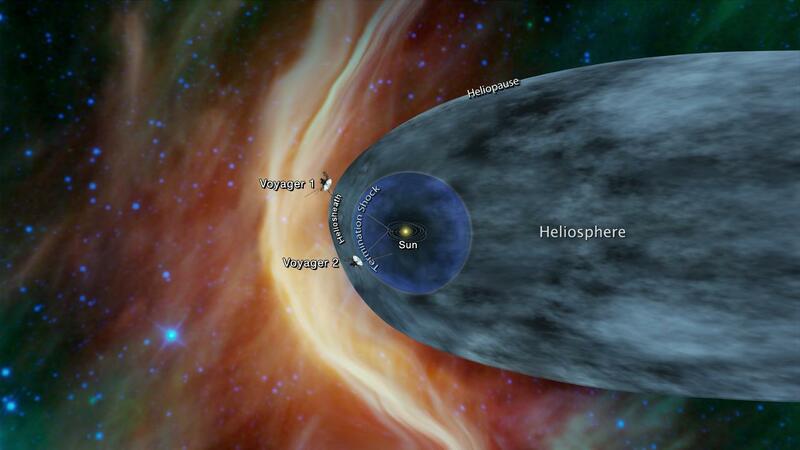 Voyager 1 crossed the heliopause, or the edge of the heliosphere, in 2012. 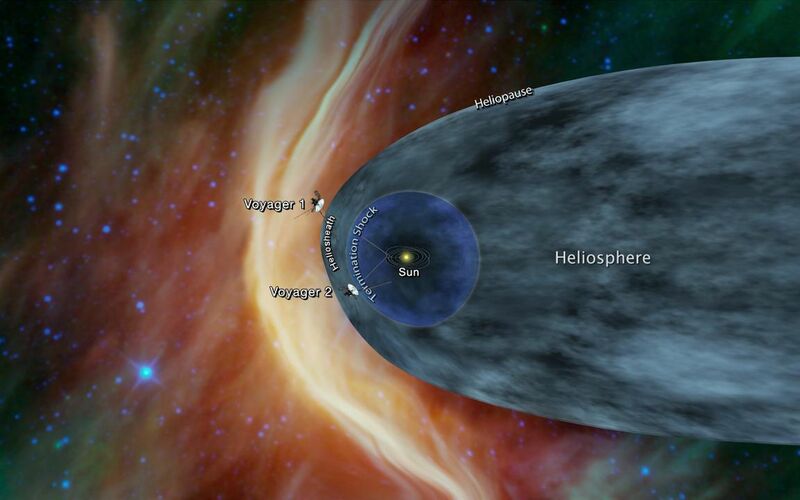 Voyager 2 is still in the heliosheath, or the outermost part of the heliosphere. The Voyager spacecraft were built by JPL, which continues to operate both. JPL is a division of Caltech in Pasadena. California. 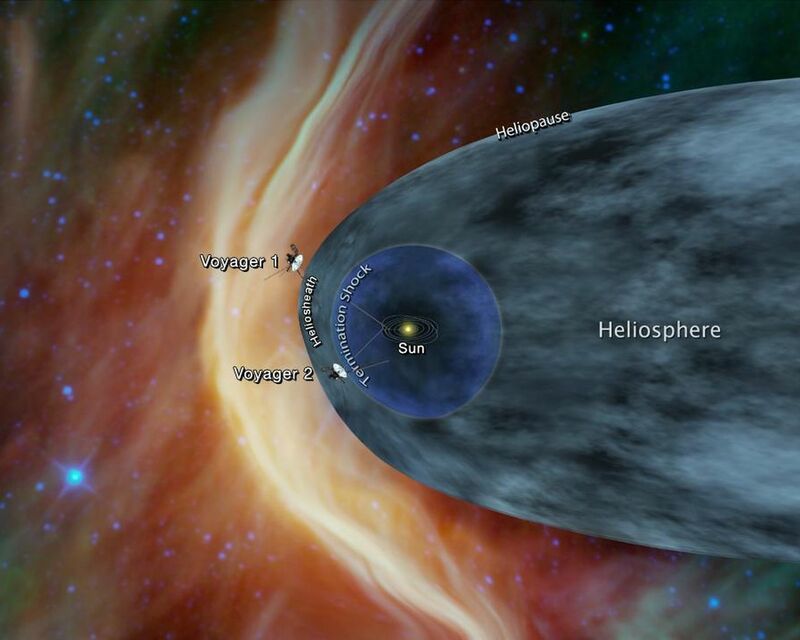 The Voyager missions are a part of the NASA Heliophysics System Observatory, sponsored by the Heliophysics Division of the Science Mission Directorate in Washington. For more information about the Voyager spacecraft, visit https://www.nasa.gov/voyager and https://voyager.jpl.nasa.gov.